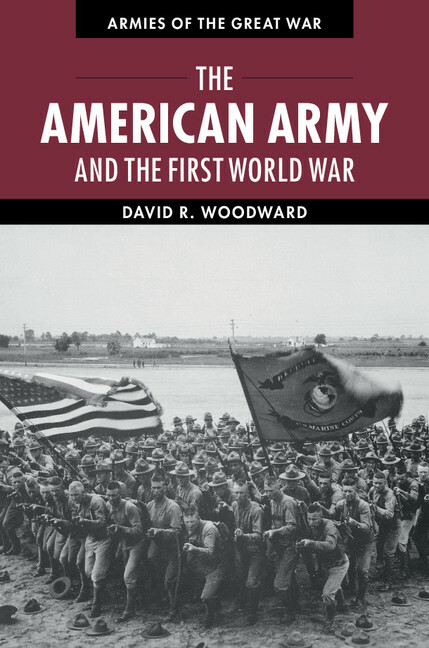 David Woodward, the author of The American Army and the First World War, explains why the United States was so late to participate in the Great War and why the war was one of the most devastating the U.S. army ever faced. Defense budgets and military preparedness have frequently been a contentious issue in the United States. Today the defense budget of the United States equals in dollars the combined defense budgets of the next twelve great powers. The U.S. Army also currently holds a considerable technical advantage over any potential enemy. The contrast between now and one hundred years ago when World War I erupted could not be greater. Confronted with the greatest international crisis since the War of 1812, President Woodrow Wilson commanded the weakest military force of any of the great powers. The army’s budget in 1914-1915, for example, was a little over $116,000,000 (John D. Rockefeller could personally have funded the army for eight years), and its primary equipment (rifles and bayonets) were no match for any of the great European armies. With the exception of the Spanish American War (a war the United States could not lose), the army’s primary role since the American Civil War had been to police Native Americans and man the nation’s coastal defenses. This obviously did not require a large armed force. Many Americans with some justification also associated large military establishments based on conscription with militarism. Wilson’s (and America’s) initial response to the global conflict largely relied on moral rather than military force to further national objectives. The army remained small and Congress appropriated almost no money to develop modern weaponry. American determination to field an independent fighting force also delayed the appearance of U.S. soldiers in the trenches. A year after declaring war on Germany American forces in France had suffered only 163 combat deaths. Moreover, Americans on the western front according to Pershing had by necessity become a “beggar” force, dependent upon the British and especially the French for much of their transportation (troop ships, horses, mules and trucks) and modern weaponry, including tanks, artillery and aircraft. This stood in sharp contrast to World War II when the United States literally overwhelmed its enemies with its advanced technology and astonishing war production. The U.S. Army during World War II also mastered formidable logistical challenges and waged victorious campaigns in Asia as well as Europe. When the Armistice went into effect on November II, 1918, the United States had some 2,000,000 men in Europe, many poorly if at all trained for combat, because they had been rushed across the Atlantic following Ludendorff’s series of powerful offensives beginning in March to achieve a German peace before American reinforcements turned the tide against Berlin. The great American offensive of the war (Meuse-Argonne) is remembered as the largest and most costly battle in American history with twice as many U.S. soldiers being killed than at Okinawa. Allied leaders might belittle the overall U.S. military effort in France in an attempt to enhance their own negotiating positions during the ensuing peace conference but the fact remained that American forces ultimately played a crucial role in Germany’s decision to sign an armistice in 1918. As Hindenburg later admitted the growing presence of American fighting men at the front left the German high command no choice but to seek a peace settlement.